thee_boon, Morty2264 and Byrese like this. I have the Note8 and in recent times had the S7 edge and OG Pixel XL. So I understand your frustration with typing on glass. However, I don't "hate" typing on glass enough to give up the other features we have like water resistance, case availability, big beautiful screens, video/YouTube consumption on said screen, premium build and internals, etc. If I was banging out emails all day long, for sure I would be leaning that way - I'm more of a content consumer. I'm glad they offer it. Perhaps if they made a slider with an OLED screen - I would consider it. Or heck even if the Key2 had an OLED screen, then it would be a definite maybe, for me. kbz1960 and bunky1971 like this. I have the LG V20. My usage is more suited toward a big screen, a great DAC and a good camera. Therefore, I'm not interested. I've last used a BlackBerry with a physical keypad was the 9700 back in 2011. At this time, physical keypads and small screens aren't the best for my usage. I hope the Key 2 is successful, since it does serve a niche. kbz1960 and Byrese like this. I had the Bold 9900 and the Porsche. I used the P as my work phone and I could get a ton of work done with that thing. Then a Z30 (also one as a spare, still not used). The move to drop WhatsApp finally drove me to a Galaxy S7E (via a Note 7!). I have grown to love the variety available in the PlayStore and typing is taken care of by Gboard. However the combination of BB and Android is very appealing, particularly as the Key 2 now has realistic specs. It does look very nice in black. However, I do need to see what the Note 9 and Pixel 3 look like. thinking about it, although my main issue with the key one was how easily greasy the keys got just from regular usage. I believe they might've fixed this with the k2 by matting out the keys, can anyone confirm? The price and screen quality turn me off. If it were 100 cheaper and had a better, brighter screen I'd take a hard look at it. The keys have definitely been given a matte finish, this was one of the big issues with the keyone. And 20% taller too. Reserved my through Rogers can't wait. Spoilt by slabs that pretty much look and do the same thing, barely able to tell them apart from one another. I still find it difficult trying to type on glass. Love BlackBerry phones still! And the Key2 should awesome! I'd love a KEY2 that size, as well! I'm spoilt with the pixel 2 XL screen size but if I'm honest, I don't mind a smaller screen. I use my tablet for watching most media and the YouTube vids I normally watch I watch in portrait anyway. I'll be ordering my keytwo at the end of the month. really excited. I think the novelty factor will be a big plus too. all of these flagship phones, as good as they are, start to feel very similar after a while. I use the same launcher, the same apps and pretty much do the same things. it's going to be nice to change. I definitely agree with you: I watch most media on my laptop and so having a smaller screen doesn't bother me at all. And I really do miss my BlackBerry - I can definitely understand what you mean about the "novelty" of devices! Do you feel like sharing some experiences with it so far? You see a big improvement on the KeyOne? 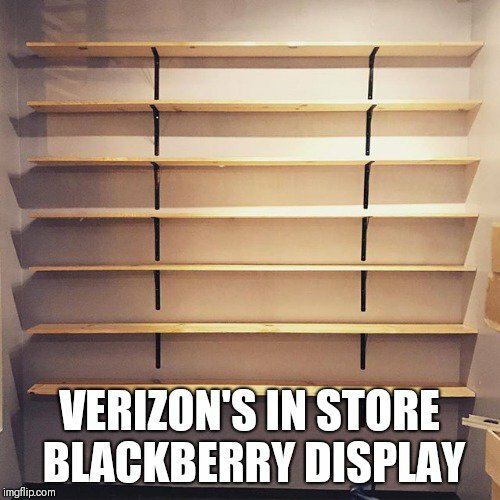 I'd get one if VZW would carry it. I'd love to have a real keyboard again. Been using mine for 24 hours, gotta say, I love it. I love customising my phone and this has limitless options to making it personal. I'm running the Yandex launcher which fits perfectly in this phone. I'm still getting used to the keyboard but it's working just fine and I'm getting faster by the minute. I find I don't have to be as accurate to get the key I want so a lot less typos. If they made a modern OG Moto Droid style device it would probably sell like crazy. It's very tempting but I really love my Samsung Pay and my big screen too much to give up my S9+, but it's a really cool device and I'm glad it's here. I haven't tried Google play music yet, just put a 64gb card in so gonna load up a lot of my own tunes. I used to use an external media player so I'll give play a go. typing now is almost like normal, I like the predictive aspect to texting, used it quite a lot. I've still got my pixel 2 XL so I'm still a little torn. I love taking pics with the pixel, they're amazing. I hope blackberry can improve on the camera with software, if so this phone is a keeper.